If your goal is to create a menu, an AR-style overlay or just some links, we got you covered. 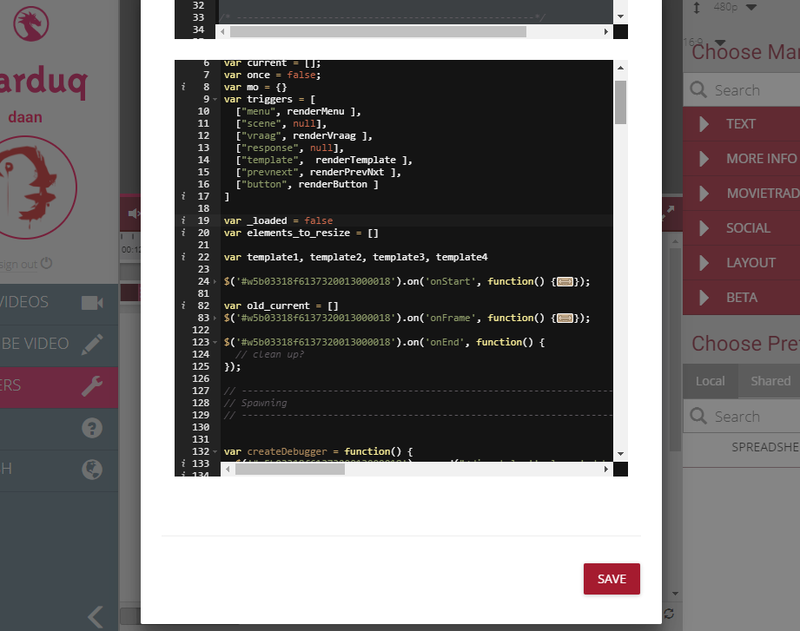 Use the excellent ACE-editor (with syntax highlighting and code-linting) to create and deploy your marqers in minutes. Out of the box we support jQuery because we deem it the most supported and well-known library. Especially for junior devs. But if you want to work with a more robust framework like React or Angular we got you covered too. We offer a wide range of extensions like Tween.js and Three.js, Allowing 3D, VR and AR style interaction. We have also a wide range of utilities and helpers available that get you up and running in no time. Browse a library of Marqer-snippets and share your own. 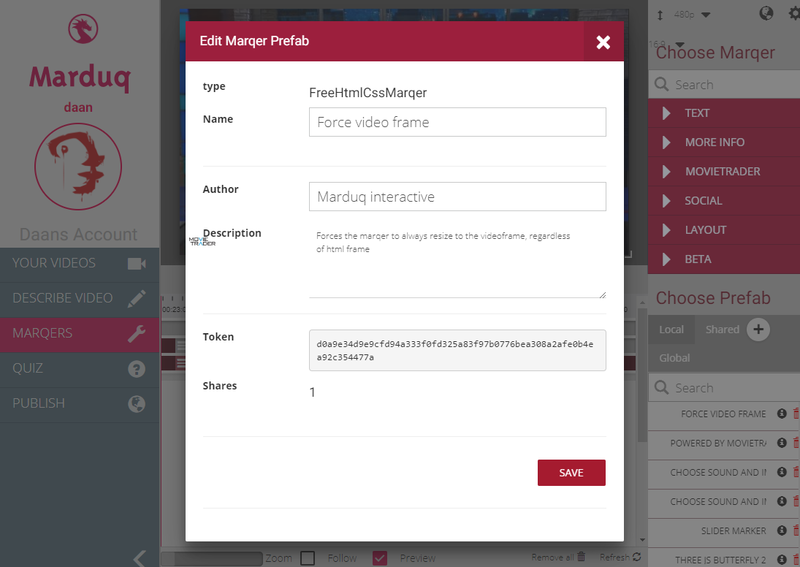 Share your marqers with your co-workers or with the community. Look at a wide range of examples and experiment with them yourself. Through the 'prefab' system we are able to easily re-use marqers in different programs. We've extended this functionality as to share snippets with friends and acquaintances and also with all the users of the platform. The list of marqer snippets is expanding as more users and project are carried out. A dedicated and enthusiastic team of developers is always toying and tinkering with new code bits. All Marqers are vetted and checked before they are shared globally, so you can be sure that no dirty code or injections are in there, and that all marqers and snippets are safe to use. Sharing is safe and anonymous through one-time tokens that can be created on the fly. Prefabs cannot be updated and need to be re-shared if updates are available. This ensures safe use and sharing across the platform.